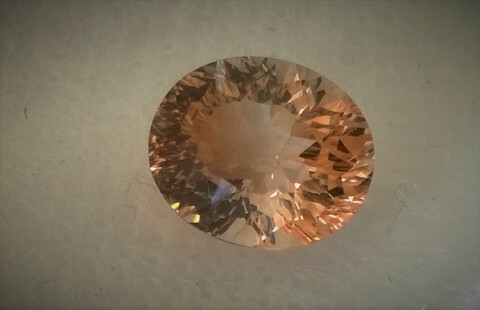 Topaz is a silicate fluorine aluminium silicate mineral available in a broad range of colors including yellow, yellow-brown, honey-yellow, flax, brown, green, blue, light blue, red, pink and colorless. It is formed by fluorine-bearing vapours given off during the last stages of the crystallization of igneous rocks. It typically occurs in cavities in rhyolites and granite and in pegmatite dikes, and in high-temperature veins. Often associated with cassiterite, topaz may be useful to indicate the presence of that tin ore.